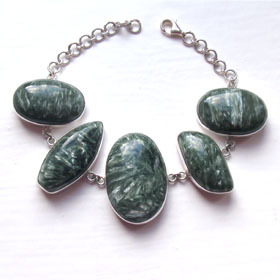 Chunky seraphinite and sterling silver bracelet. 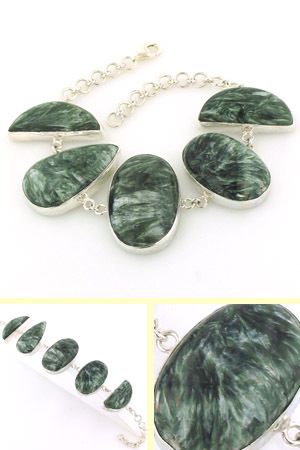 Featuring large top quality stones, this semi-precious bracelet shouts quality in every feathery, silvery stroke. 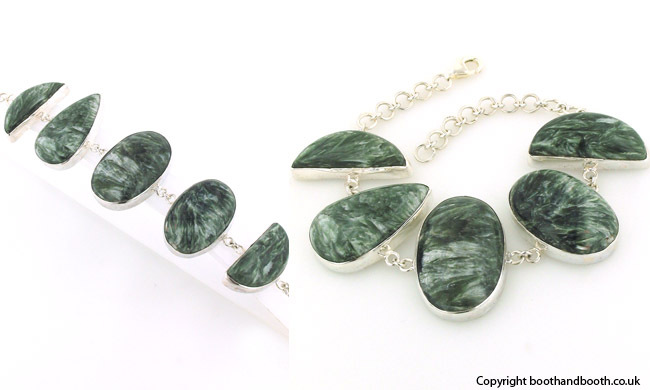 Seraphinite has a wonderful combination of forest green, silver and black with a detailed feathery pattern. These gems are excellent examples of seraphinite at its best. Each stone is set into a plain sterling silver collar. The bracelet closes with a lobster claw clasp and has extra links for size adjustment.